Upset about the less-than-stellar technical quality of the bug-filled Assassin's Creed: Unity? 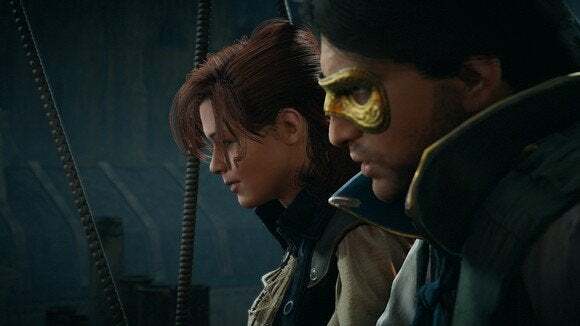 Ubisoft's going to try and make it better by giving you more Assassin's Creed: Unity. Anyone who purchased the game will get the upcoming Dead Kings DLC add-on for free, while people who already purchased the game's season pass will get one of the following games for free: Far Cry 4, The Crew, Rayman Legends, Watch Dogs, Assassin's Creed IV: Black Flag, or Just Dance 2015. "The launch of Assassin’s Creed Unity was a highly-anticipated moment for me and for our development teams around the world who dedicated a tremendous amount of energy, passion and skill to the game’s creation. For us, it was the culmination of years of work on new technologies, the development of multiple innovations -- including an all-new game engine -- and an evolution of the Assassin’s Creed franchise’s core pillars. More importantly, we know that it was a highly-anticipated moment for many of you as well, as you looked forward to taking part in the first truly next generation Assassin’s Creed game." "Unfortunately, at launch, the overall quality of the game was diminished by bugs and unexpected technical issues. I want to sincerely apologize on behalf of Ubisoft and the entire Assassin's Creed team. These problems took away from your enjoyment of the game, and kept many of you from experiencing the game at its fullest potential." Mallat also uses the word "humbling" in regards to the feedback received. Is it enough to ease the sting of buying a game full-price that barely works? Eh, maybe not. But it's a decent gesture on Ubisoft's part, especially considering the amount of (potential) money they'll lose by discontinuing the season pass and handing out all those free games. And it's still better than any apology we got from EA after the SimCity debacle. At least this one comes with a veneer of sincerity.